*AVAILABLE ON ORDERS RECEIVED BEFORE 1 PM. 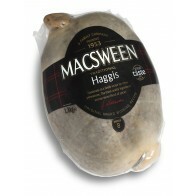 Calling all haggis lovers! 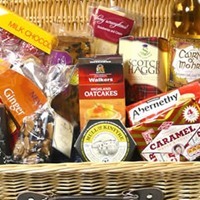 Haggis UK is your one-stop online haggis shop for Scots Expats and traditional Scottish food lovers in the UK and Europe. 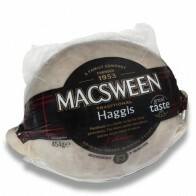 We deliver Macsween haggis, vegetarian haggis and tinned haggis. 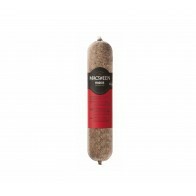 Why buy haggis online here? Delivers unrivaled friendly service ensuring your haggis exceeds your expectations - Check out our customer feedback. For a formal Burns Supper, you must have the chieftain of the pudding race, the ceremonial haggis. 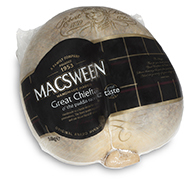 The Macsween Chieftain Haggis is specially made to impress at Scottish celebrations. 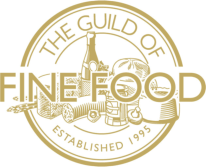 Looking for help preparing your Burns Suppers? Our guide explains how to cook haggis so that you have a successful evening. 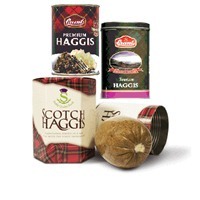 For shipments outside the EU, we recommend the excellent Grants haggis and Stahlys haggis. 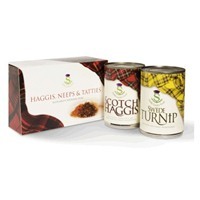 Our delicious range of tinned haggis and canned haggis includes vegetarian tinned haggis, tinned venison haggis and tinned haggis infused with whisky. Delicious. Please note we are not permitted to send any meat products to the USA, Austrailia, Norway or Singapore. For deliveries outside of the EU, please check for local restrictions. 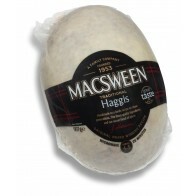 Haggis UK cannot be responsible for any possible customs delay, restrictions or additional fees. Once you have placed your order, choose next day delivery or a delivery date of your choosing up to 6 months in advance. We use reputable courier services with a proven track record of delivering your gift in the right place at the right time. Place your order, choose your delivery date and sit back and relax. For your peace of mind, our website is integrated with WorldPay. WorldPay payment solutions are trusted by millions of online shoppers throughout the world. Give us a call if you have any special requirements for your haggis gifts or Burns Supper events. We love to help.